Last week we reported that underdog Katie Arrington had incumbent "Republican" Mark Sanford on the ropes in the GOP primary for South Carolina's first congressional district. First-term state Rep. Katie Arrington (R-Dorchester) defeated Sanford, earning more than 51 percent of the vote to Sanford's 46 percent. Before the final results were even tallied, Sanford told supporters, "I've always been a realist and at this point, based on the numbers I see, I think that I will end up losing this election". Arrington has repeatedly called Sanford a "Never Trumper", due to the incumbent's criticisms of the president. Sanford faces a tough primary challenge in Tuesday's contest and a big part of the reason why is that he's been a staunch critic of the president's for the past three years. 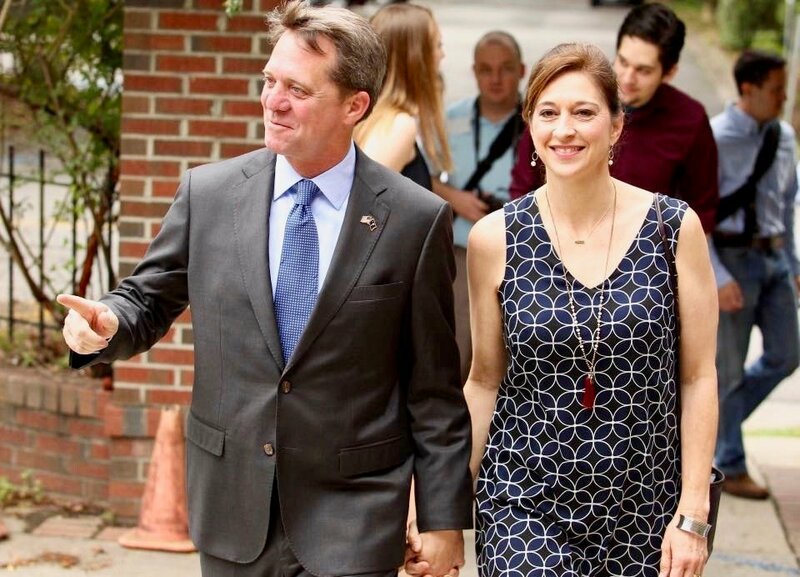 He is the "comeback kid" of SC politics, having survived his affair - part sordid, part comical - with an Argentine woman. Trump launched a pointedly personal attack on Sanford just hours before polls closed. After the shooting at congressional Republicans' baseball practice, Sanford on MSNBC said Trump is "partially to blame for demons that have been unleashed" in American politics. One of her ads said "it's time for Mark Sanford to take a hike - for real this time". In his remarks Tuesday night, he said: "I stand by every one of those decisions to disagree with the president". "I look forward to working together with him to drain the swamp and continue making America great again". In his tweet, Trump said: "Mark Sanford has been very unhelpful to me in my campaign to MAGA". The South Carolina race highlighted primary voting in five states on Tuesday. In Alabama, U.S. Rep. Martha Roby is in a July 17 runoff against former congressman Bobby Bright. On the Republican side, Tarkanian (who is now running for the House instead of the Senate) will face off against state Sen.
MSNBC's Joe Scarborough said Republicans were sealing their own doom in the midterms by fully embracing President Donald Trump. Republican incumbent Rep. Bruce Poliquin will attempt to defend his seat against the victor of a three-person Democratic primary featuring state Rep. Jared Golden, bookseller Craig Olson and nonprofit director Lucas St. Clair. He is the second House Republican to lose a primary this election cycle. The GOP Senate nominee in Virginia, Corey Stewart, has underscored his efforts to combat illegal immigration and is a champion of Confederate symbols. In the Seventh Congressional District, incumbent Republican Rep. Dave Brat will face off against the victor of a Democratic primary between former Central Intelligence Agency operative Abigail Spanberger and retired Col. Dan Ward. That result would lead to a runoff between McMaster and Warren, with Catherine Templeton eliminated on 20 percent of the vote. In Nevada, Democrats tapped Rep. Jacky Rosen to take on Republican Sen. There are primaries Tuesday night in three of those seats. Pete Domenici and Michelle Laxalt, the daughter of former Nevada governor and senator Paul Laxalt.